Su Yan felt both surprised and delighted. Although he was nearly torn apart along with the Life Tripod just now, as he chanted the Incipient Scripture, the tripod glowed and integrated with Su Yan. Then the Life Tripod stayed quiet and settled in his Destiny Spring like a Life Implement to guard him! Moreover, the tripod could defend the Destiny Spring and unleash devastating power that pervaded Su Yan's all limbs and bones, which would strengthen his fighting capacity! This was the Implement Constructing Realm! Su Yan was excited, and he felt his strength now was powerful and terrifying! He even was confident to fight the top overmatches who reached the Taoist Door Realm! But Su Yan estimated that, it still was challenging for him to fight Zu Yan with his fighting capacity now. After all, those who reached Taoist Door Realm varied on competence; it wasn’t a realm to apply conventional wisdom. Since it was not only about Su Yan's strength but also the latent divine power of the Star. After integrating with the Life Tripod, Su Yan's fighting capacity had been strengthened greatly. Certainly, the Life Tripod's potential needed Su Yan to tap further so as to unleash the strongest power! The Old Taoist nodded. Su Yan had finished the Implement Constructing Realm which was a special realm! Some people paid little attention to the Life Implement. They refined the implement casually and then hurried to reach the Implement Constructing Realm, as they believed that they already had mighty treasures, there was no need to refine Life Implement with great effort. Now Su Yan had realized the benefit of this realm and why Tie Baocai had given up the Star. Because the potential of the Star was formidable, once it was separated, its power would be severely damaged! The Star's potential was related to the growth of the Life Implement in the future. The stronger its potential was, the more growing s.p.a.ce there would be. Also the stronger the Life Implement was, the mightier Su Yan's fighting capacity would be! No other treasure could integrate with human body, only the Life Tripod could. Now Su Yan had refined his Life Implement with the whole supreme Star . Once the Life Tripod emitted billowy divine power, it could integrate with Su Yan and trigger the deadly fighting capacity within him! Su Yan was the tripod, and the tripod was Su Yan! Of course, the Old Taoist was clear that if such a mighty Life Implement was refined by an ordinary cultivator, he could not employ it. On account of once he integrated with the implement, he would be exploded by its energy directly! Su Yan opened his mouth and spat out the Life Tripod, what a glistening and brilliant object! With the drive of Su Yan, it enlarged greatly and floated in the void with brilliant starlight glowing from inside. "Senior, what do you think?" Su Yan was kind of nervous. Hearing that, the Old Taoist pondered for a while and said, "Have a try. Even if you fail, the Life Implement can be recast, it’s not life-threatening!" Su Yan nodded. The Old Taoist shook his sleeve carefully, and a ball of golden liquid emerged. Yet as the liquid rolled down, it gave off matchless terrifying energy as strong as ten thousand horses galloping ahead! Su Yan shivered all over. It was so horrible! How come it still contained such strong energy in liquid state! This also confirmed the fragment of implement was refined from precious treasures, which was more valuable than Star. Su Yan saw dozens of drops of golden liquid which emitted immortal glow like they were melted from some kind of immortal material. The drops rolled down and fell into the tripod! At the same time, Su Yan's Life Tripod rumbled. The entire tripod trembled as if it could not stand the energy of these liquid and was about to explode into pieces! Su Yan's face changed. He drove the Life Tripod intending to suppress the golden liquid, and even a.s.similate it. However, even the Old Taoist made a mistake, the liquid was a little terrifying. These drops of liquid, as if with a spirit of its own, interweaved together, which was like dozens of universal planets becoming one and flowing out formidable spirit weave! "What?" The Old Taoist glared as he hadn't expected the drops could recombine. What an unfathomable implement! "d.a.m.n. Senior, my tripod is about to break!" Su Yan glared at his tripod. If it exploded into pieces, all efforts would be wasted! Yet at the point that the tripod was about to be destroyed, it started to chant certain scripture. The scripture was mysterious and grand with patches of golden ancient characters hovering in the void, which even made the fragment of implement rumble along! Su Yan was shocked. What was going on? Was it related to his Incipient Scripture? It was highly possible, or the implement fragment would not calm down. "Senior, what exactly is the treasure?" Su Yan stared at one object hanging in the tripod, which was like a Taoist stick. Was that the actual appearance of the implement? "Now the implement is in my Life Tripod. Is it good or bad?" Su Yan was worried. "Little boy, don't play dumb!" The Old Taoist said enviably, "How formidable the treasure is! It is a wonderful opportunity for you that it’s willing to stay in your tripod even though it is only a fragment. Perhaps one day you can master it. Listen to me, this kind of treasures are eternal in general!" Su Yan was terribly frightened. Eternal? It was kind of horrible. Su Yan pondered for a while. The Life Tripod hung over Su Yan's head, rumbling. It revived itself and was spreading golden divine glow, which when cascading down, was like gusts of divine waterfall, giving off extremely ferocious waves! Su Yan had tried to drive the damaged implement, but he failed. He couldn't master the implement at all, which hided deeply in the tripod. What a shame that he could not drive the treasure which he already felt how mighty it was. "Kiddy, would you like to move on and challenge the fourth level?" The Old Taoist asked, "The fourth level is not easy. If you succeed, it would greatly affect your future. There are nine levels in the Trial Field. The former three levels are rudimentary. The real challenge starts from the fourth level, from which on every level you pa.s.s will affect your life!" Su Yan was excited, "How long do you think I will spend at the fourth level?" Hearing this, the Old Taoist thought for a moment, "It's hard to say. A couple months, a few years or even ten years, that’s all possible!" "Fortunately, there is no time limit in the fourth level. Time doesn’t matter as long as you pa.s.s it. There were late bloomers who spent a thousand years." Su Yan shook his head upon the Old Taoist's words and sighed, "Senior, I'm afraid I need to postpone the challenge. I have some worldly affairs to fix!" Su Yan slowly clenched his fists. The duel was approaching. He had stayed in the Trial Field for more than four months, which meant he only had less than a month before the duel with Zu Yan! These days, Huaxia Alliance had changed a lot! First of all, Liu Tiancheng from Huaxia College had reached the Taoist Door Realm. To all overmatches’ surprise, recently they frequently felt the aura of the Taoist Door Realm from the wilderness region, but they were all unfamiliar ones! These signals made Xia Ze upset. Tie Baocai came back from the wilderness region with a straightened face, "Zu Yan has three overmatches of the Taoist Door Realm. Luckily, none of them opened the heaven-grade Taoist Door!" Xia Ze's fists clenched, "Yiling has opened the heaven-grade Taoist Door, that poses a threat to Zu Yan's men. Anyway, Zu Yan has four men of the Taoist Door Realm. And I have a feeling that Zu Yan's capacity has risen rapidly!" This day, the wilderness region spread gusts of horrible air current, as if three ancient deities were reincarnated. It almost crumbled heaven and earth, shook the vast wilderness region and collapsed the field within a radius of hundreds of miles! Discussion raged on in Huaxia Alliance after a moment of silence. In the depth of the wilderness region, a domineering shadow like deity stood between heaven and earth, behind whose back erected several grand Taoist Doors emitting vast divine aura and overwhelming sound of chanting scriptures! Now Zu Yan was peerlessly mighty. With chanting sound rumbling inside him, he was like an immemorial deity who was overlooking the heaven and earth! "Incredible. Warlord Zu Yan has reached the third level of the Taoist Door Realm!" "How long has it been? Warlord Zu Yan has opened two holy grade Taoist Doors. Oh my gosh! I think Zu Yan can dominate the world now!" "Poor Su Yan has the audacity to fight Warlord Zu Yan. Even if Su Yan made great progress since they agreed on the duel, he didn't open even one Taoist Door yet!" Huaxia Alliance was stirred. Zu Yan surprised Xia Ze for opening three holy grade Taoist Doors in such a short time. In Taoist Door Realm there were nine levels in total with nine Taoist Doors to be opened. Though the nine doors could be opened consecutively, but according to ancient works, the process usually took five or six years even dozens of years since each Taoist Door required profound acc.u.mulation! Tie Baocai growled, "Why hasn't Su Yan come out yet? Zu Yan has opened three Taoist Doors. How many f.u.c.king Essence Stones did that cost? Has Su Yan died in the Trial Field!" Tie Baocai was trembled with rage. Su Yan had estimated that Zu Yan possessed millions of Essence Stones and Tie Baocai found the estimate too conservative! Zu Yan's resource must be a great more. He could afford to open three holy grade Taoist Doors one after the other, the Essence Stones he had cost must be enormous! "Tie Baocai, how dare you curse me!" A shadow showed up suddenly. Su Yan had felt Zu Yan's mighty aura, and he thought his priority was to reach the Taoist Door Realm with his mortal body, reviving the Furnace of Glided Body to the best state. That was when he could fight Zu Yan! When Tie Baocai was about to speak, gusts of divine power came from the depth of Huaxia College. Although the power had been cloaked by formation, Su Yan felt it! Xia Ze and his two companies rushed toward the source of the power directly. They traversed the formation and saw a fabulous girl sitting with her legs crossed. And it seemed that inside her body sat a primordial saint chanting scriptures that were rival to Zu Yan's. A looming ancient Taoist Door trembled in Su Bingshuang's body, which was almost open! "Bingshuang is about to open the holy grade Taoist Door!" Su Yan was extremely thrilled. But Xia Ze and Tie Baocai were sad. They told Su Yan that Su Bingshuang had been able to open the holy grade Taoist Door a month ago, yet she hadn't had such great acc.u.mulation. If she absorbed the natural essence step by step, she at least needed to spend three or five years! Su Yan's eyes went red. Although Su Bingshuang had been able to open the holy grade Taoist Door, she hadn't got enough Essence Stones. Even Huaxia College would not spare her thousands of Essence Stones for free. Su Yan came to Yi Yuan's cultivation place again, where was very terrifying. The field within a radius of over ten miles was permeated with choking waves and suffused with martial aura. Yi Yuan, with tanned skin, looked like he transformed into a huge bronze mountain! "Don't worry about Yi Yuan. He is in the state of heaven and earth uniting as one, once he wakes up, he would definitely be invincible!" Tie Baocai was quite sure, Xi Ze also nodded. Once the Martial Lord woke up from the cultivation state, his fighting capacity would be ferocious. What's more, Su Yan brought the secret treasure to mend Yi Yuan's Destiny Spring! Now, a bronze chariot drove over to Huaxia City, which even distorted the air. A deity-looking-shadow sat in the chariot, his magnificent glow soaring into the sky and his divine aura piercing the heaven. It was like an emperor on a parade, and the whole Huaxia City was overawed. Zu Yan opened his eyes, as if he was inspecting his own territory, and said coldly, "Su Yan, my dear bro. I give you another opportunity, hand in the stuff you took away from me. Then I shall bury the hatchet. We used to be brothers after all, I don't want to give you a hard time!" These words confused all forces gathering by the college. What was the story between Zu Yan and Su Yan exactly? Why Zu Yan said he and Su Yan were brothers? "If I don't confiscate his adobe, I'll eat my hat!" Su Yan woke Su Bingshuang up. Now that they didn't have adequate resource, they intended to take Essence Stones from Zu Yan’s secret adobe! You're Read Overlord In Cultivation Chapter 127: Life Tripod online at NovelOnlineFull.com. You can use the follow function to bookmark your favorite novel ( Only for registered users ). If you find any errors ( can't read,broken links, can't load photos, etc.. ), Please let us know so we can fix it as soon as possible. And when you start a conversation or debate about a certain topic with other people, please do not offend them just because you don't like their opinions. You're reading Overlord In Cultivation. This manga has been translated by Updating. 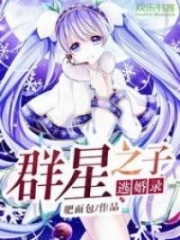 Author(s): 一叶青天. Already has 137 views. Current Time is 23-Apr-2019 14:29:36 PM.